A table of standardized sheet metal tolerances for various types of features. 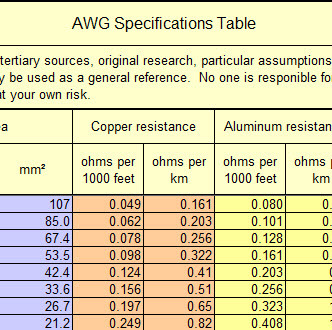 Table containing wire gages (0000 thru 50) and specifications for each size. Included is a table that gives a particular set of size recommendations (unverified) based on cable length.